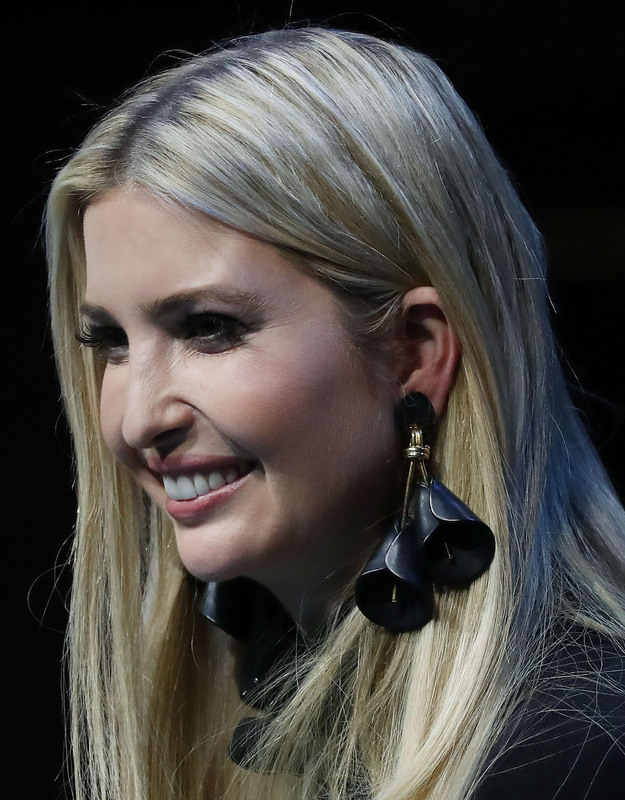 Ivanka Trump got everyone’s attention when she showed up in a great peach and black skirt combo Thursday at a CEO Innovation Summit in Washington, D.C.
She topped off the look with loose hair, dangling black earrings and black high heels. To say she looked fantastic would be an understatement. 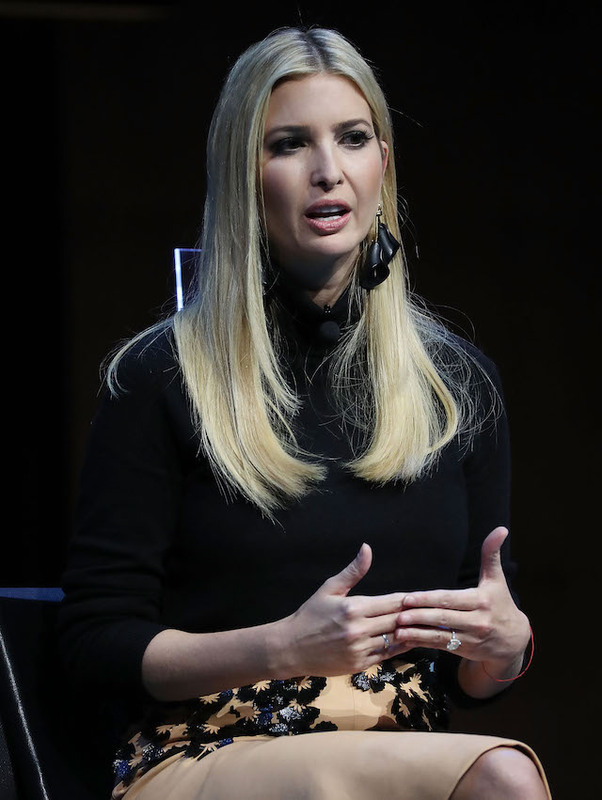 Ivanka Trump on December 6, 2018 in Washington, DC. “The #FutureOfWork is at the forefront of the Admin’s priorities. Recognizing the critical importance of public-private sector collaboration, today I joined IBM CEO Ginni Rometty & Walmart CEO Doug McMillon at Business Roundtable to discuss how we can work together to prepare Americans for the jobs of today + tomorrow,” Trump captioned her post on Instagram, along with a picture from the day’s event. 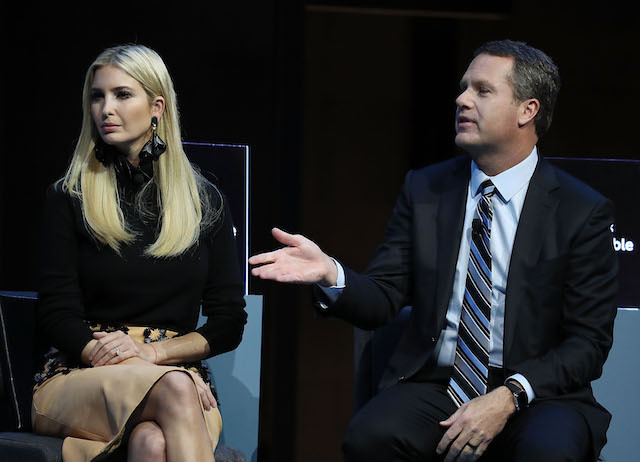 Earlier this week, the first daughter made headlines when she wore a gorgeous black dress with boots at a workforce development event held in northern Virginia. 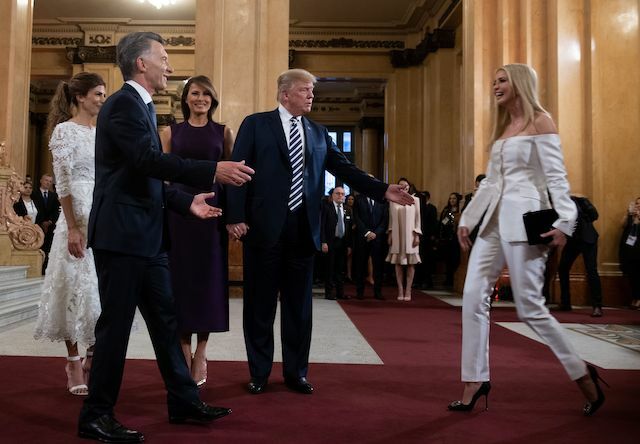 Trump also dazzled over the weekend during the G-20 Summit in Argentina, when she stepped out in an off-the-shoulder white pantsuit and black heels ahead of a dinner held at the Colon Theatre.